Time and date information may be essential requirements for developing a hardware project, such as registration systems, alarms, and smart pills box. 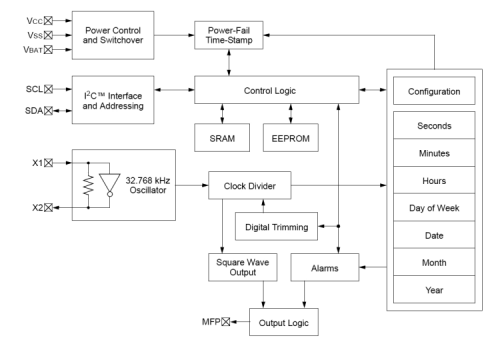 These information can be obtained locally by RTC (Real Time Clock) and RTCC (Real Time Clock Calendar) circuits like DS1307 from Maxim Integrated. 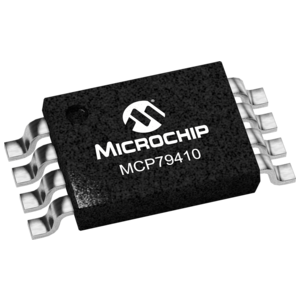 Microchip, an embedded control solutions company, produced MCP7941X three-member family of low power RTCCs with EEPROM and SRAM. Each of MCP79411 and MCP79412 has a unique MAC address that can be programmed by the end user for the networking applications. MCP79411 uses 48-bit MAC address and MCP79412 uses 64-bit one. 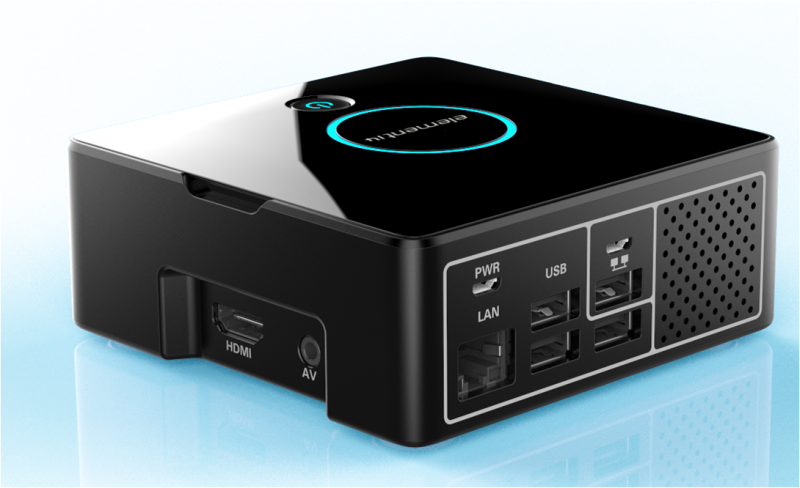 MCP79410 is suitable for non-network applications as it has the same features except the unique ID. These integrated circuits are compatible with I2C™, include a battery switchover circuit for backup power, and use a low-cost 32.768 kHz crystal, providing time tracking in 12 or 24 hour format and two settable alarms to the second, minute, hour, day of the week, date or month. They also have programmable output pin which can be set as an alarm out or a selected frequency clock out. 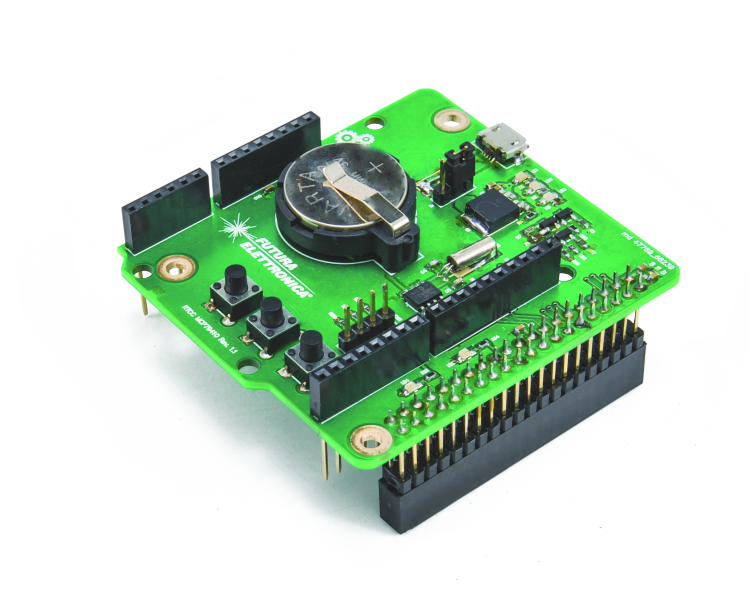 Based on MCP79410, Futura Group Srl developed a RTC shield compatible with Arduino UNO and Raspberry Pi 3 Model B and it supports all of the functions needed to manage the MCP79410 circuit. The shield PCB contains the MCP79410 chip, SMD components, CR2032 battery holder, male and female stripps, and three buttons. 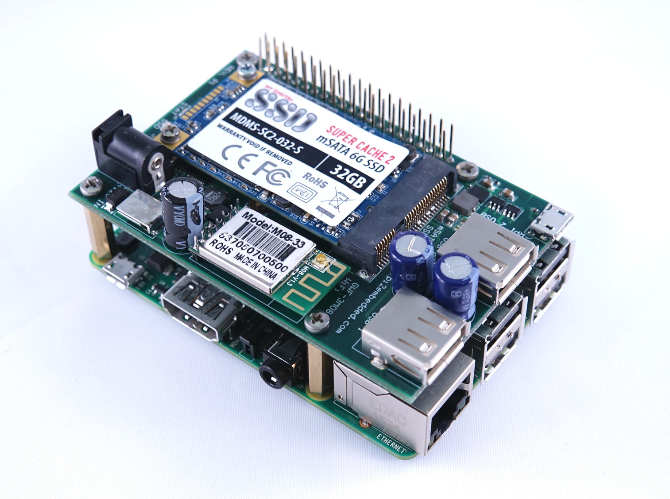 The three buttons are connected with the Arduino and Raspberry Pi and they are used for the configuration process. There is also a library which allows you to use and program the shield easily. It contains three files, two of them are the functions and theirs declarations, and the third is a text file contains the keywords of public functions and theirs usage. The shield is available for $18.5 (16.50€). You can order it from open-electronics store and have access to the libraries and example sketches. Full documentation of the shield with its schematics and diagrams is available here.